Further digging by Mother Jones reporter @daudig revealed that this 1935 rally was in conjunction with the visit of a German cruiser, the Karlsruhe (sunk in 1940 after the invasion of Norway). 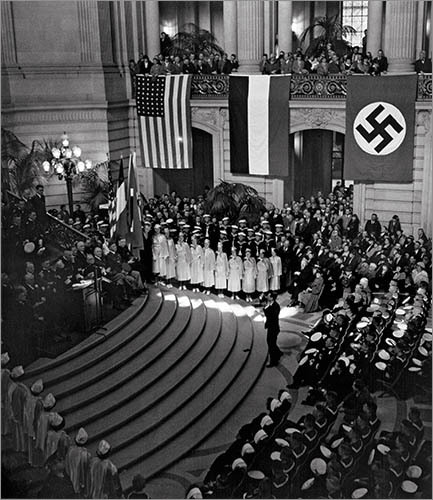 Reception for the German Admiral, 1935. Mayor Angelo Rossi is on the left. The “Admiral” in the middle is in fact just a Captain with a really big hat — Captain Gunter Lütjens of the Karlsruhe to be precise. Guessing that the German (Nazi) Consul is on right? 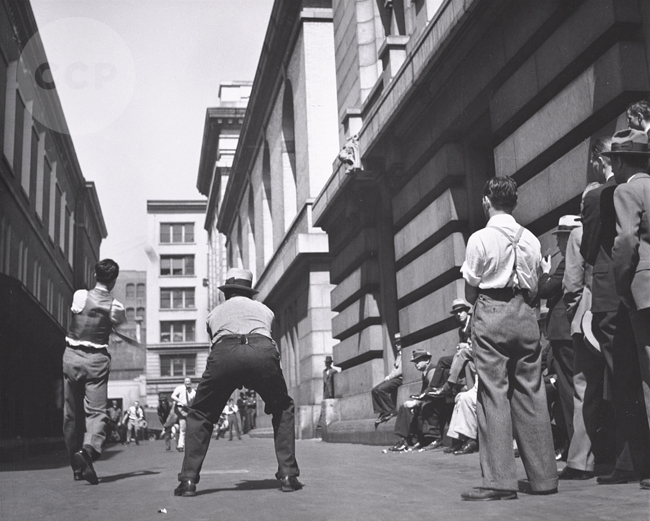 Gutmann’s photo archive at the University of Arizona’s Center for Creative Photography is rather amazing, and includes a frankly astounding number of photos of San Francisco from the 1930s to just before Gutmann’s passing in 1998. 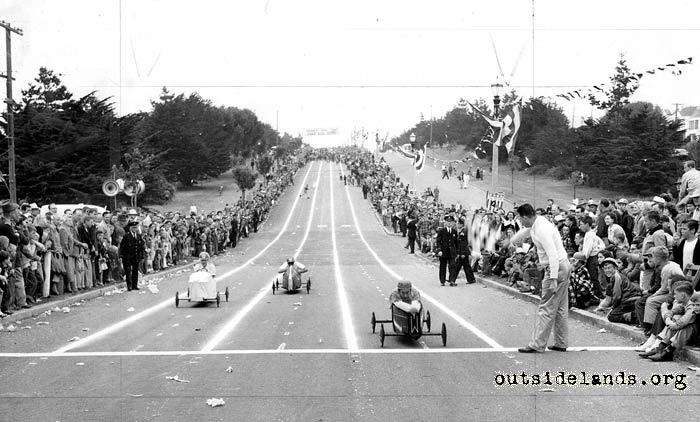 @bernalwood found this great picture of the old Soapbox Derby. At the same moment @donnyo was sleuthing through newspaper archives, I took a different tack — I figured the giant conveyor belt would be easy to find on Sanborn maps. Sure enough, in the 1950 Sanborns, along Carolina, below 18th, what do we see? Note also the soap powder ad on the right, which must have been for the Pioneer Soap Company. As @donnyo notes, resurrecting the race today would be impossible as Carolina no longer exists between 18th & 19th. An integrated school in 1934. If it’s not already done, the history of blacks in Hunters Point (and San Francisco in general) is a book waiting to be written. 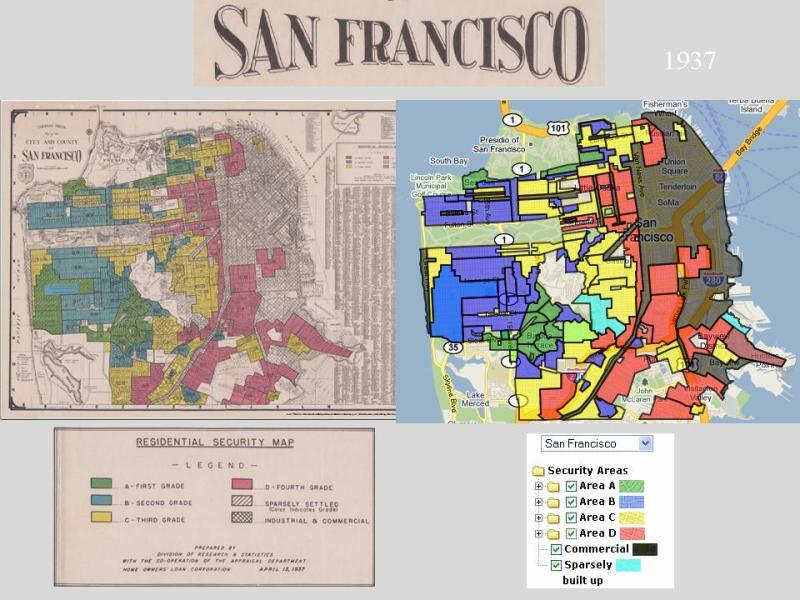 These 1937 redlining maps are sobering. Description of grades and Interactive map by city and neighborhood on the T-Races site. @burritojustice @daudig Explains why every 80-yo native San Franciscan you meet has minimum one hand missing. old timers used to tell me they would do something like tie a string to a piece of wood, then lower the other end of the string into the slot twirling it until it caught the cable, then watch their personal “cable car” take off. This is perfection; I particularly love the different strategies. 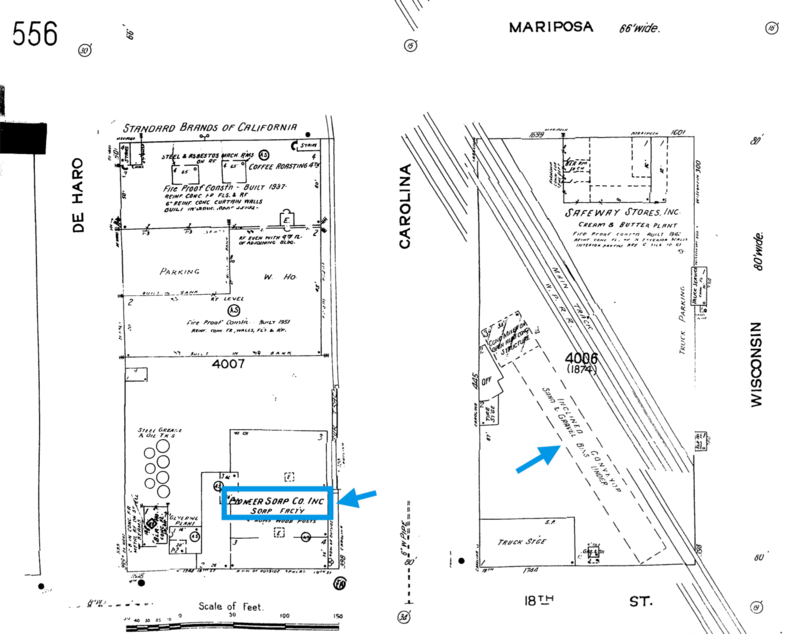 I would have done newspaper archives first, then conveyer map, though the conveyor was the first thing I noticed (then the “powder” on bldg). It’s like a personality test, maybe. ha, seriously, it’s like one’s historical MO.